Are you a Debt Free Wannabe or Debt Freedom Achiever? Are you a Debt Free Wannabe? I think it’s safe to say that no-one actually enjoys being in debt so I’m sure most people have debt freedom on their wish list. For some people, wanting to be debt free might involve getting rid of credit cards and loans and for others, debt freedom might mean getting rid of mortgages or becoming financially free well before retirement age. Yet many people (myself included not so long ago) spend a lot of time hoping and dreaming about finally getting rid of their debt for good without actually doing all that much about it. Actually wanting to get out debt – being a Debt Free Wannabe in other words – unfortunately doesn’t mean that you WILL get out of debt. Why not? Because getting out of debt means continually working hard trying to save money and earn money to use for paying off debts. For an indefinite amount of time! If you’re lucky enough to win the lottery or come into some inheritance than maybe debt freedom will happen sooner than you’d think but for the majority of people, actually becoming debt free is a lot of hard work. All is not lost though. Here are some steps you can take to make the transition from just thinking and hoping that your debts will get paid off to actually making a real dent in your debt. Actions always speak louder than words! Paying off debt is a little bit like dieting. It’s tough going just like when you first try to lose some weight. It’s restrictive and you’ll probably feel like giving up after a few days of tightening your purse strings and want to indulge in buying something that isn’t necessary. This is why you need to think about achieving debt freedom as though it’s a healthy eating plan for life. Because paying off your debt and keeping your finances in tip top condition after your debt is gone involves making some serious lifestyle changes and not just temporary changes – long term changes are what’s required to succeed. My advice is to cut back by saving where you can and start by making small changes. For example, if you usually eat out 3 or 4 times per week, limit this activity to just once per week and use vouchers if possible to go towards the cost of your restaurant bill. Or you could scale back on a few luxuries that you don’t really mind going without. If you go all out and cut yourself off from the outside world and become a hermit from the very start, then the chances are you’ll give in before you can make some real progress. But once you start making little changes, these will soon become sensible and automatic choices that you’ll make without thinking and it won’t seem like a big deal. This might sound obvious but it’s so easy to undo all the good work you’ve done in paying off your debt by putting a purchase back onto your credit card for an emergency or otherwise. I’ve done this time and time before and it’s a vicious circle which might never end unless you break the cycle once and for all. Of course if you buy something on credit and pay it off before the end of the month, then that’s all good, but it’s a risky way of doing things when you’re on a mission to pay off your debt. Once you start seeing your debt decrease, you’re going to feel really good about how things are going! That’s because you’re going to feel more at ease with your finances, less stressed out and more happier overall. When you start to feel like this, challenge yourself to save even more and look at ways to make more money either through your current job or by making money on the side. Escalating your debt payoff when you’re fully into the swing of things is one of the best things you can do because you’ll already be motivated and you’re only going to become even more motivated when you see some really good progress! 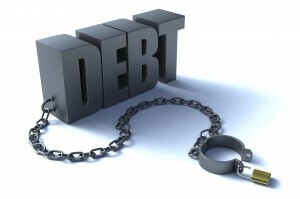 There will come a point where you reach a halfway point in your battle to become debt free. Then you’ll soon be over the hardest part and on the home stretch. By this time, you’ll have made some great changes to your lifestyle which will most likely mean that you won’t let yourself give in. It’ll just be a matter of time before you succeed and you’ll be a proactive Debt Free Wannabe well on the road to debt freedom! Are you actively doing something to pay off your debt? Feel free to share any other tips for Debt Free Wannabes! I believe one of the most important point to get free from debt is to increase the income. I had this done myself and it really makes a lot of sense. By increasing your disposable income you can divert more funds towards payment of your debt rather than living frugally and saving few pounds every month to pay for debt. My advice would be to invest in learning how to develop multiple streams of income and/or increase current income. Adnan @ The Simple Quid recently posted…How to choose right 0% Balance Transfer Credit Card? Hi Adnan, definitely – increasing income is the one of the best ways to get free from debt – as long as those all important lifestyle changes happen too! Right now, can I say that I’m a debt-free wanna be. Me and my hubs just purchased something and we’re planning to crash our debt immediately. Instead of paying our debt until 24 months we will try our best to pay it for 12 months, hopefully. Sounds like you have a plan to get you there Clarisse! Good luck and hope you manage to pay off your debt within 12 months. Defnitely a Wannabe here….working so hard at it, but the lifestyle change is so hard! Yeah it really is hard to make those changes – and keep going! Staying the course is the tricky part because it’s so tempting to give in and splurge. I’ve been making steady progress on my student loans, but I’m definitely not someone who is “all or nothing” when it comes to saving and paying off debt. I would say I’m somewhere in the middle, but I was more interested in saving upon graduating college. I wasn’t too worried about my student loans (mistake!). E.M. recently posted…What’s the Most Expensive Thing You Own? Debt free wannabe totally! I’m working hard on it to pay our debts by saving and budgeting always. I hope I will come to the point to be debt free sooner. I’m not a wannabe any more! 🙂 I believe the first step is getting organized in the form of a budget, understanding what money is coming in and going out if so important. Then stop the bleeding, but not accumulating any new debt, once that is done look at what can be cut prioritize needs over wants, and finally look to increase income at current position, take a 2nd job or passive income stream. I believe budgeting will not work until we change the attitudes. Its more of changing the way we deal with the money than making and following budgets or avoiding new debt. First step is attitude change. I’m always a fan of the distraction method. If you find yourself tempted to spend money, quickly distract yourself with your favorite free option instead. Distraction is such an effective way to save money! The main thing I find is staying focused. This is not an easy task by any stretch of the imagination but knowing one day that you will achieve your goal keeps you going. Understanding what you are spending your money on and how it all adds up is a very important part of dealing with the reality of it all. I agree with all your points, Hayley. Once you get started it feels like a locomotive pulling away slowly from the train station and gathering up speed. It definitely gets easier, things become second nature and you lose the feeling of being deprived as you start to do focus your life on minimalism, free things and living in the moment! Stop trying to find ways to save money when buying X product and instead just don’t buy X. It’s a lot simpler to just stop buying your morning latte or another new pair of shoes to add to your collection than it is to shop around trying to find a bargain; and you’ll save far more money as a result. It’s rather like the people you see who say they’re on a diet but then go and buy low-fat potato chips. If you’re serious about losing weight – just stop eating them altogether!